MGC Pharmaceuticals (ASX:MXC) has provided a strong operational update on its three divisions: MGC Pharma, MGC Botanic and MGC Derma. The continued development of MGC Pharma remains a core strategic focus for MXC. MGC Pharma took a major step towards full manufacturing certification in January 2018, when it clinched an interim Good Manufacturing Practice (GMP) licence for its European facility. The interim licence has enabled production of CannEpilTM, which is MXC’s first medicinal cannabis offering. CannEpilTM targets drug resistant epilepsy, which is also known as refractory epilepsy. Of the 240,000 people diagnosed with epilepsy in Australia per annum, some 30 per cent of those are affected by refractory epilepsy. The first batch of CannEpilTM remains on track for completion in March. 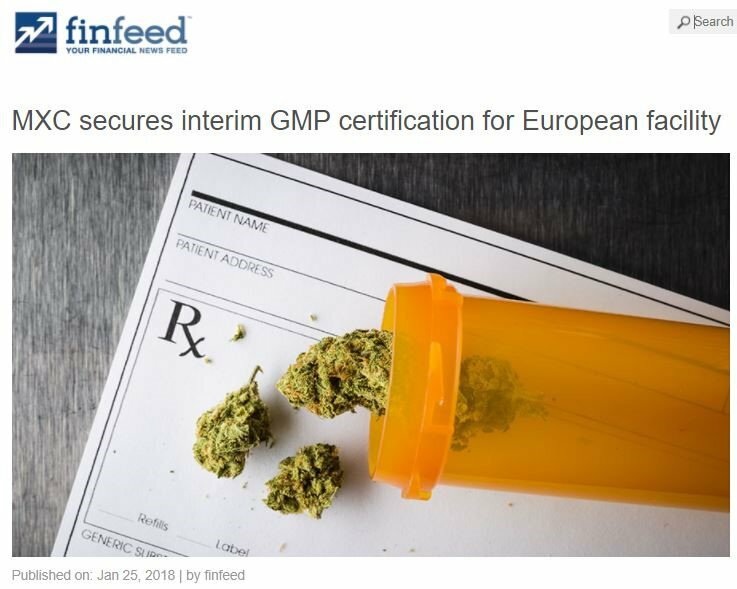 It will then undergo analysis and final inspection before full GMP certification is granted for its European laboratory and its compounding facility shortly thereafter. Once GMP certification is achieved for its laboratory and compounding facility, MXC will then commence the GMP certification process for its European extraction facility. At the same time, it’s worth noting that this is an early stage play and investors should seek professional financial advice if considering this company for their portfolio. Once both certifications are achieved, MXC will have a fully-integrated GMP facility at its disposal for the future extraction, compounding and production of CannEpilTM and new pharmaceutical grade cannabinoid products. MXC has made steady progress on three key project initiatives over the past six months with RMIT, including the strategic Library of Cannabinoids. PhD students are working full time on the Library, with the repository of information to be used in the development of future treatments and medicinal cannabis safety. MXC applied for a medicinal cannabis research cultivation licence to the Australia’s Office of Drug Control (ODC) in September 2017. The company has been working closely with RMIT and the ODC to progress its licence application. The company has also indicated that its multi-year contract with Mabsut Life is on track to deliver annual revenues of A$1million. Under the agreement, MXC will supply a minimum of 12kg of CBD extract per quarter from its European extraction facility. MXC is also working on new product lines at the request of Mabsut. MXC has commenced its second year crop at its Czech Republic facility, with seedlings already cultivated for the entire 1,100 square meter glasshouse facility. The company has flagged its intentions to expand the facility to the full 2,000 square meter capacity during the year, which will ensure it is well placed to meet projected strong future demand from emerging European markets. MXC will begin the extraction of cannabinoids in Prague shortly for use in the manufacture of new MGC products in March. The company’s research collaboration with the University is continuing to progress, with the experimental crop using MXC genetics now entering the middle of its flowering stage. Analysis of the plants will commence shortly and will be the basis for MXC’s next research report, which is released semi-annually. The executive management team at MXC have held advanced discussions to establish potential strategic joint ventures or partnerships with existing licensed producers. 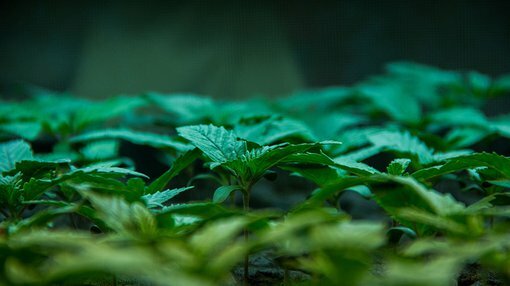 The company has identified Australia and North America as two new key markets and is now progressing the establishment of key botanical operations in both continents. Since launching 15 of its cosmetic products on global cosmetic store Cult Beauty, MGC Derma has seen significant increase in month on month sales revenues in comparison to Q3/Q4 2017. MXC’s binding sales contract with Varm Cosmo will see the company supply white label cosmetics products to the Korean cosmetics manufacturer, which will be used by Varm Cosmo in its CavaLabs Derma premium range. Five of MXC’s CBD based products will be sold under the white-label agreement. As previously indicated by the company, MXC has yet to receive payment of the initial A$1m deposit, due to delays in Varm Cosmo’s testing process over the last two months. MXC successfully launched its Derma Plus Herbal Repair Cream in the December quarter, and plans to launch two additional offerings from the Derma Plus range. Its CBD Herbal Replenish Cream will launch in March, followed by CBD Herbal Balm in July 2018. The Derma Plus range utilises proprietary cannabidiol (CBD) compounds and features three clinically tested products. The products have shown to deliver strong improvements in sufferers of various skin conditions. MXC Co-founder and CEO, Roby Zomer, commented on the company’s operational update, “It has been a very busy few months,” he said.